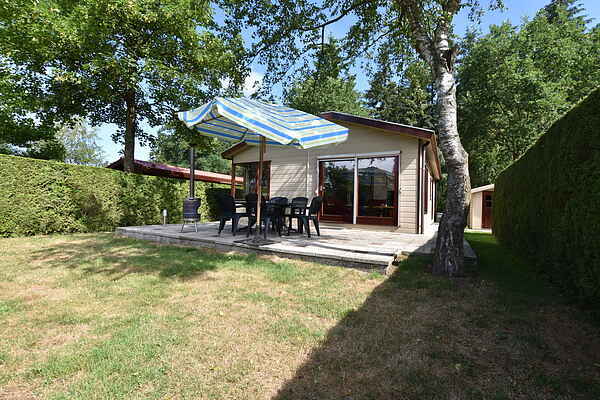 Bungalow de Koekoek is secluded among the beautiful Putten forests. Come experience the natural tranquillity of the Veluwe, with rolling heathland at your doorstep and the forest literally in your back garden. The bungalow is located in a small recreation park, which offers a peaceful destination for families with children who like exploring the outdoors as well as seniors who enjoy the marvellous bike paths and hiking trails that the region offers in abundance. To make every stay as pleasant as possible, there is also a fitness room with an infrared sauna and solarium at your disposal. In the surrounding area you will find many nationally renowned nature preserves, amusement parks and cultural attractions. There is a lot for visitors of all ages to discover and experience.